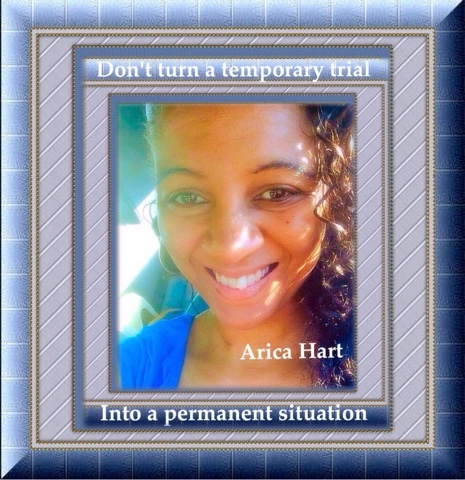 Don't turn a temporary trial into a permanent situation. When going through life's situations, we must not look at what is happening in the moment. We must focus on what can come out of that situation. God may be using you as an instrument to help someone else. I know you don't want to hear about helping someone when you are going through, but putting that focus on someone may help you get your mind off the situation. Many of us go through trials and things in our life. It may be financial trouble, health issues, family difficulties, or etc. Look at the things Oprah Winfrey went through as a child. Her life wasn't easy growing up, but look at the success she has become. I can name numerous of successful people that didn't have it easy, but they endured and became successful. Do not limit your goals, because dreams are possible. I could tell you my life story of things I've been through, but GOD kept me here for a reason. Sometimes I look back over my life and say THANK YOU JESUS. Look where you brought me from. I say all this to say, you are worth not giving up on life. You are beautiful. You are amazing. If anybody tells you different, then there is some jealousy in their heart. Be strong and courageous. Stand up to adversity and win the war even when you don't win the battle. What do I mean by that? I mean, we may not win every struggle ( battle) at that precise moment. We are going through it, because there is a lesson to be learned. Just know that why you are learning the lesson, you are getting closer to your destiny. You are about to accomplish some long lost goals and dreams you had for yourself. Just make sure they line up with what is right. We all make mistakes in life, so stop putting yourself down and get up, dust yourself off and aim to succeed in life. It may be a journey, but it's your journey to take. Learn from others, so that you want have to make the same mistakes they made. Watch the people you hang around. You know the old saying " birds of a feather flock together. I'm not saying you need to be to good for people, but don't let yourself be pulled into a gutter mentality. Strive for excellence. Strive to be the best you can be. Surround yourself with people that are accomplishing their goals the right way. You may just learn something from them. I'm here to say to someone, DON'T TURN A TEMPORARY SITUATION INTO A PERMANENT SITUATION BY ENDING YOUR LIFE. If you don't feel anyone loves you know that GOD loves you and so do I. 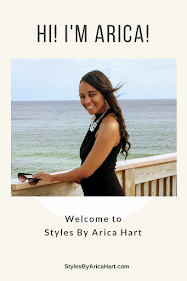 You may say, why is she writing this on her beauty blog? The answer is because when it's in my spirit to do something, I try to be obedient. Life is about caring. Have a BLESSED and WONDERFUL day.